We're glad you'll be joining us for the post-event reception. * Cost includes a full day of information, continental breakfast and buffet lunch. Do you have colleagues who can't make the workshop? This one hour webinar might be a great option. A full day's workshop too much for your schedule but you're still interested in CCPA information? 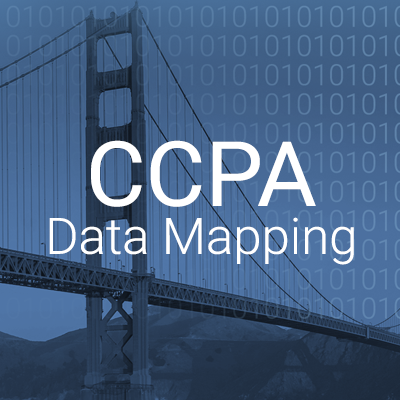 Data Mapping is a vital component to CCPA readiness and compliance but knowing how to get started can be daunting. Join us to learn how to perform a scoping of a data mapping exercise, identifying relevant systems for inclusion into an inventory, documentation of data flows and modalities, as well as how to identify security related controls to protect data. We will also discuss some key considerations for data sharing and more. This session will help you develop a plan to ensure the visibility to your data and its usage facilitates your organization's ability to demonstrate CCPA compliance.